The Timmermans Method is a holistic approach to rehabilitation for particularly children with disabilities. It is a combination of therapies to create a more tailored program for enhance results. The key premise of The Timmermans Method is the utilisation of intensive therapy, whether that is done in the home or in our clinic. The Therasuit method is one of the main methods used for our intensive therapies. This in combination with other intensive therapies will create a unique program for your child which stimulates the healthy, working parts of the brain to take on the function of the damaged areas. This new level of functioning can then be incorporated into purposeful movement , increased awareness, and higher levels on integration. The key element of TheraSuit is a strengthening program based on his/her individual needs, strengths and weaknesses. Increased strength and control of muscles results in increased daily functional ability. TheraSuit Method aims to eliminate pathological reflexes and establishing new, correct, and functional patterns of movements. This is done through increasing the feedback the body sends to the brain through doing activities while wearing the suit. The TheraSuit aligns the body as close to normal as possible. Reestablishing the correct postural alignment and plays a crucial role in normalizing muscle tone, sensory and vestibular function. The Universal Exercise Unit, used as part of the TheraSuit method, trains the ability to isolate desired movements and strengthen the muscle groups responsible for those movements. Universal Exercise Unit allows clients to gain increased range of motion, muscle and joint flexibility, as well as functional skills. Each client receives a highly individualized program to help them achieve the maximum results possible in three weeks. Duration: 3 hours, 5 days a week for 3 weeks where we work hand in hand with the parent to help the children achieve the goals set out at the beginning of therapy. Helps children strengthen their muscles, improve muscle tone, improve balance and even achieve new milestones depending on their abilities. Intensive Exercise triggers the brain to develop new neurons in an area called the hippocampus which is responsible for learning and movement. Fitness: children and adults with neurological injuries rarely move enough to have a level of fitness. Over the period of three weeks the clients fitness, strength, and endurance will increase allowing them to move with greater ease and for longer. Challenge: By challenging the muscles the brain will gain greater control and awareness of the movements. Self-belief: During a three week period clients will learn that they have more ability then they thought they did. This translates to greater motivation and participation in rehab when they go home. Hyperbaric Oxygen Therapy: helps reduce inflammation. Hydrotherapy: swimming and just being in water helps increase oxygen to the muscles and promotes recovery. A child or adult should ideally be exhausted at the end of the three hour session. The ability for a fourth hour should not be possible. Then the child or adult needs to focus on recovery to repeat again the next day. 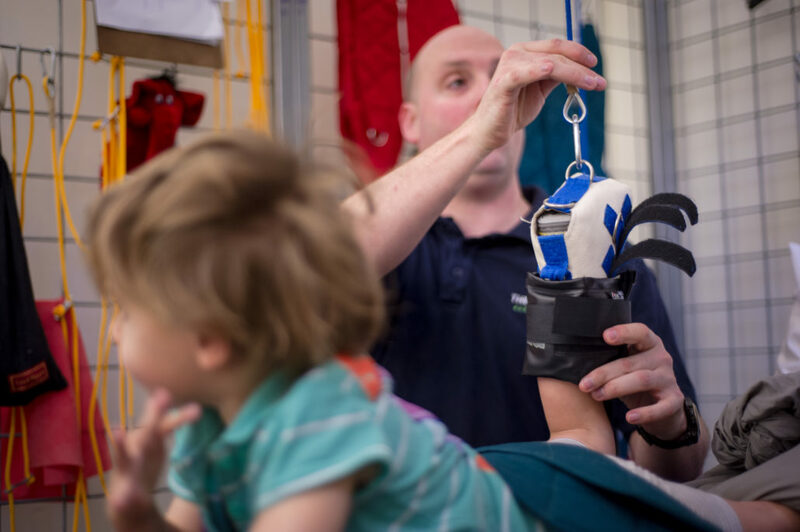 During intensives with therasuit Australia the family are trained to help like therapy assistants. This results in them being able to carry out a high quality home program. While children will make progress during the intensive, the home program maintains these results and often builds upon them. Children who get the best results over time are also the ones who do the best home programs. We are often asked if the children that we see maintain the results achieved after the intensive therapy finishes. 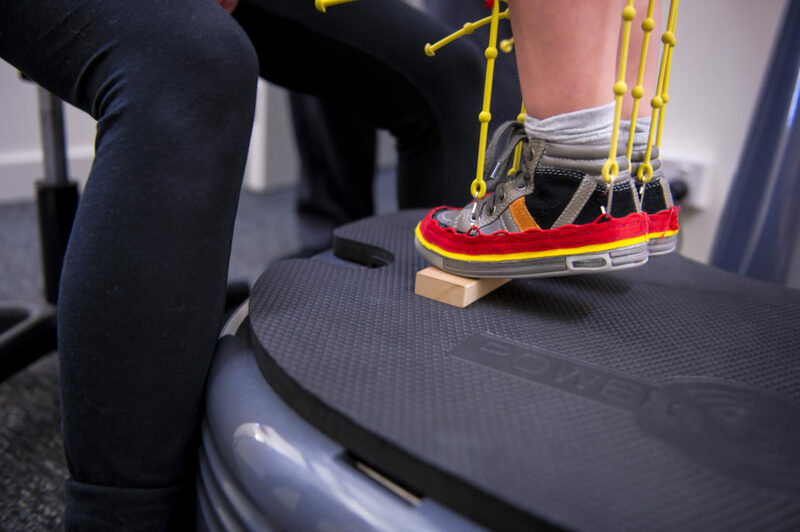 Since it isn’t possible to do 3 hours plus recovery per day at home, it leads to concerns that the child will lose any strength or skills that he or she has gained once the program has finished. Have you ever heard of the saying ‘use it or you lose it?’ It does not just apply to muscle strength but also to brain activity. Through regular use, muscles remain strong, connective tissues get a chance to stretch and are prevented from becoming tight, while neurons remain stimulated and keep their sensation and the brain retains the processes of how to move. Have you exercised for a short period of time, like a few weeks? And then noticed how you lose whatever gains you had by stopping the exercise? It is exactly the same for children following an exercise program. They need to keep using their muscles and keep practicing the new skills acquired for them to maintain the results. The best way to maintain the results gained after doing intensive therapy is to keep up the new skills and new strength that has been developed. If a child learns how to crawl, sit or walk during an intensive session then that is what needs to be practiced at home in order to maintain that motor skill. The home program will help to keep up the strength that has been developed. We want each child to maintain the skills that they have developed, and be ready for the next intensive session where we can advance those skills even further. Six monthly re-assessments of home programs, re-assessment run for one full day or two half days for the AIAHP stream.